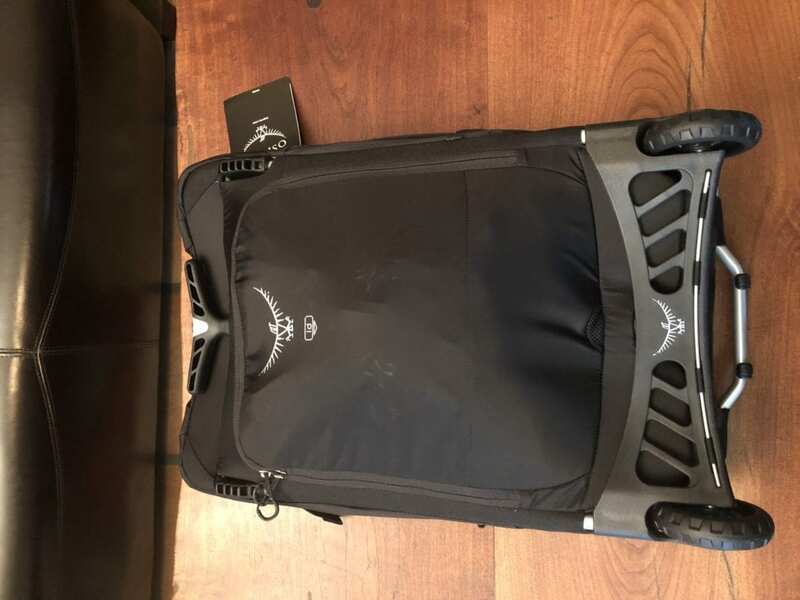 The Osprey Ozone Convertible Wheeled Luggage is high quality and has the highest attention to detail out of all the convertible wheeled carry-on backpacks we reviewed. 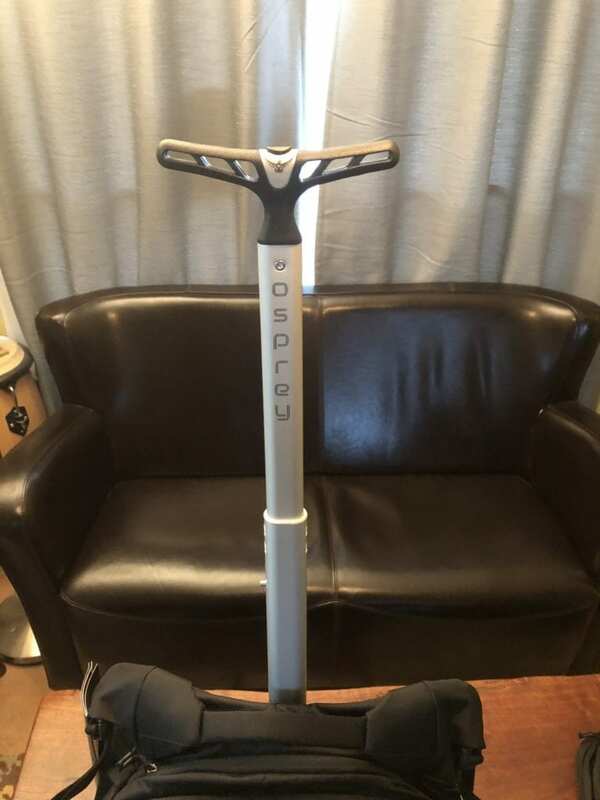 The amount of interior space is too limited for extended trips, but if you are looking for top of the line convertible wheeled luggage for shorter trips, the Osprey Ozone is a great choice. 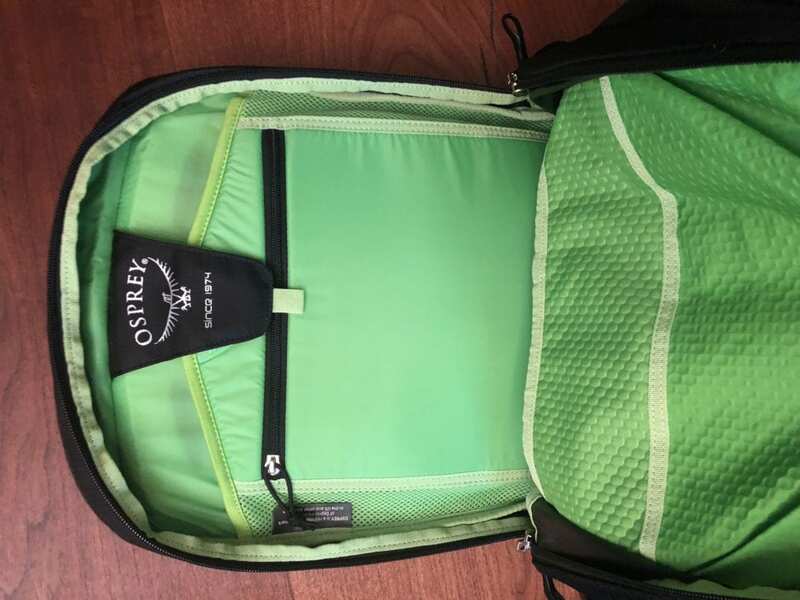 Read our full Osprey Ozone Convertible review to see if this is the right bag for you. Osprey has a strong reputation for making durable and high-quality products. The high price point of Osprey luggage may be worth it to people who don’t mind paying more for top quality. The quality of the materials is unmatched, and the designs are more unique and custom than most other brands. The main carry-on luggage can be wheeled, carried by the handles or converted into a backpack with a hip belt. There is also a detachable daypack that can be zipped onto the front of the main bag or looped over the retractable handle while rolling. The design was created with a lot of attention to detail. The interior space of the main bag and the detachable daypack is limited, but it is fine for shorter trips of just a few days. Custom design: Osprey puts a lot of attention to detail into their luggage designs. Features such as the retractable handle, wheelbase, backpack straps, hip belt and pocket layouts are unlike most other brands. These features are frequently praised in Osprey Ozone Convertible reviews. High quality: All of the materials from the exterior, zippers, handles, interior lining, pockets and straps are built to last. 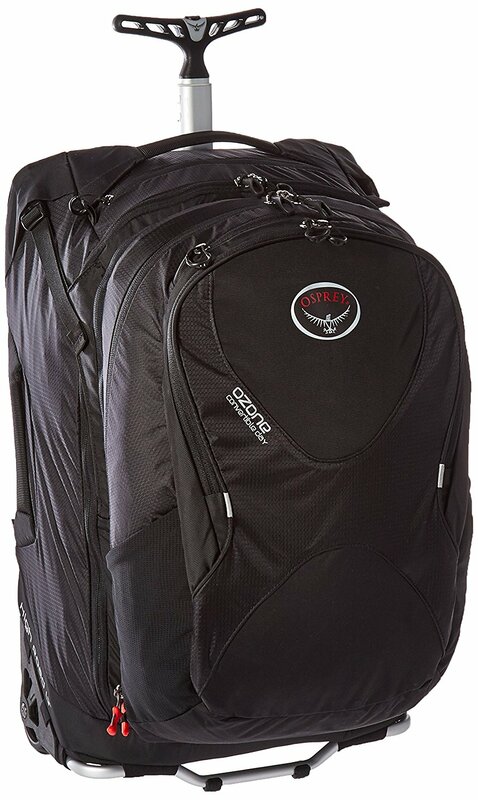 Osprey has the highest quality build out of our top picks for wheeled carry-on backpacks. You can tell immediately that the company didn’t cut any corners with the design or the material selection. Lightweight: Osprey has taken great care to design this luggage to be strong and durable, yet also hyper lightweight. 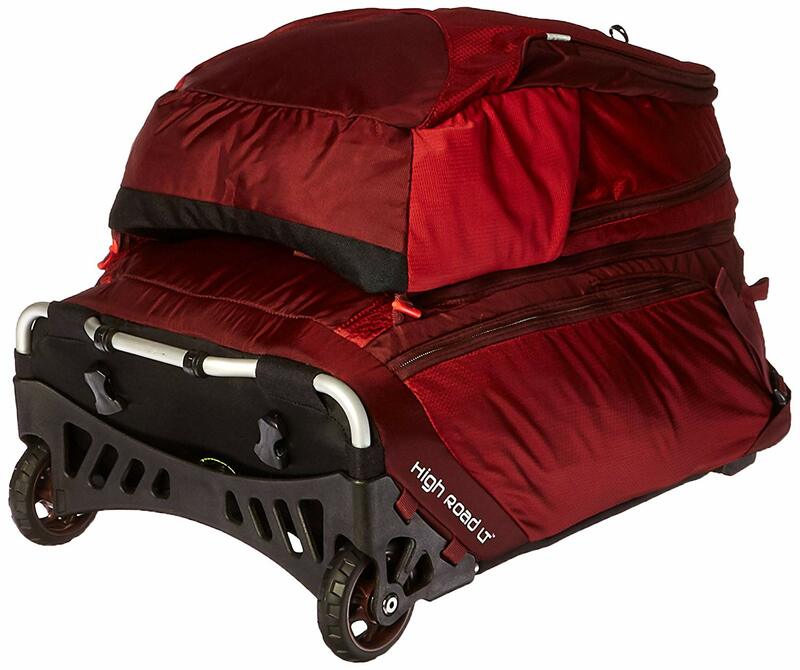 The straps and wheelbase have a custom design that minimizes the amount of material used, which cuts down on the weight of the luggage without sacrificing strength or durability. 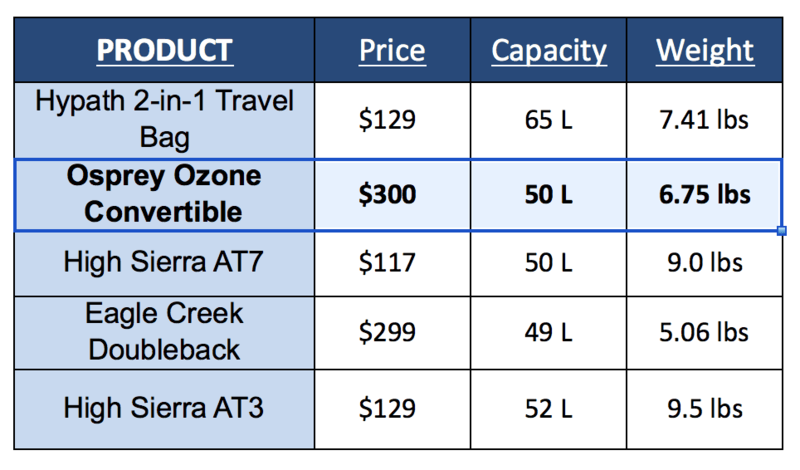 Unfortunately, Osprey Ozone Convertible reviews have to point out some negatives. 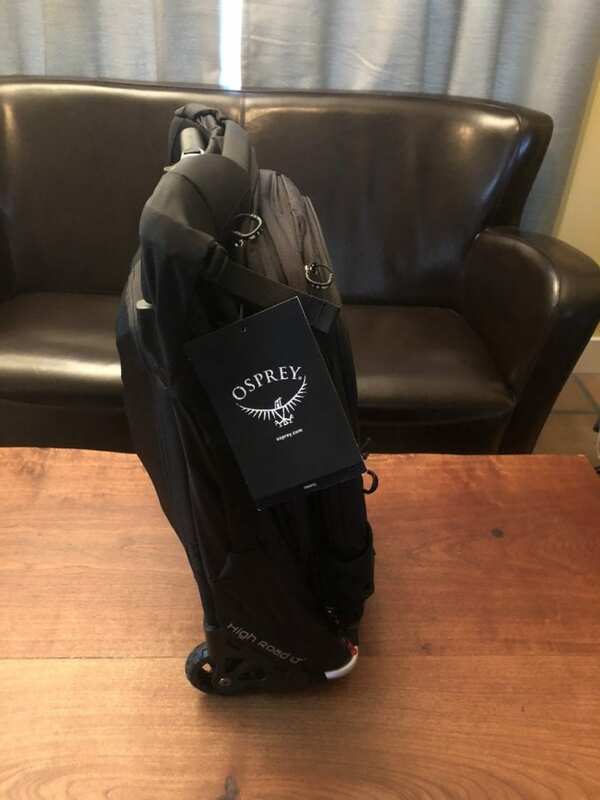 Price: The Osprey Ozone Convertible currently sells on Amazon for around $300. 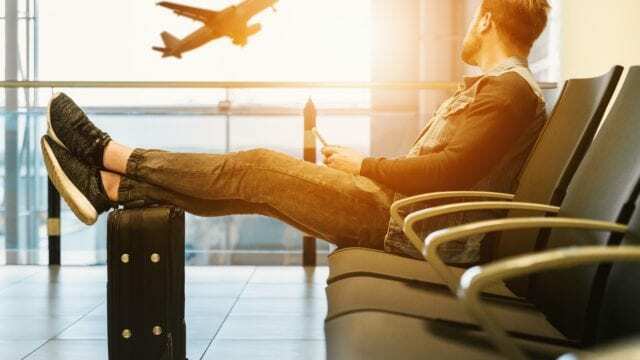 This makes it the highest price on our list of best carry-on backpacks with wheels, and the price is more than double the cost of several of the other options. The price is somewhat justified as its also the highest quality, but this bag may be too pricey for some people. Space: This bag is not built to carry much luggage. Its a fine option for trips of just a few days, but if you’re traveling for a week or more, space is too limited. 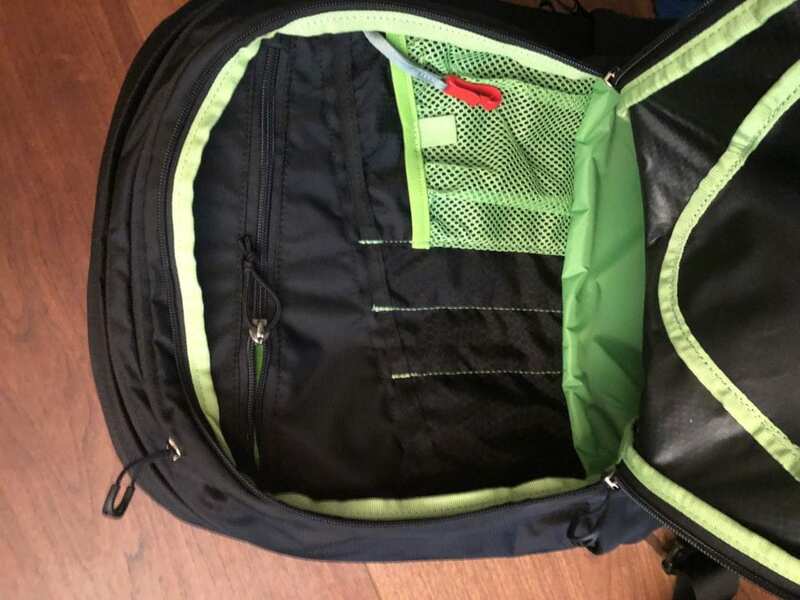 The detachable daypack has enough space for a laptop but not much else. The retractable handle and backpack straps eat into quite a bit of the interior space, and the bag is not very wide. Guarantee: Osprey will repair damage and defects for free for as long as you have your bag. 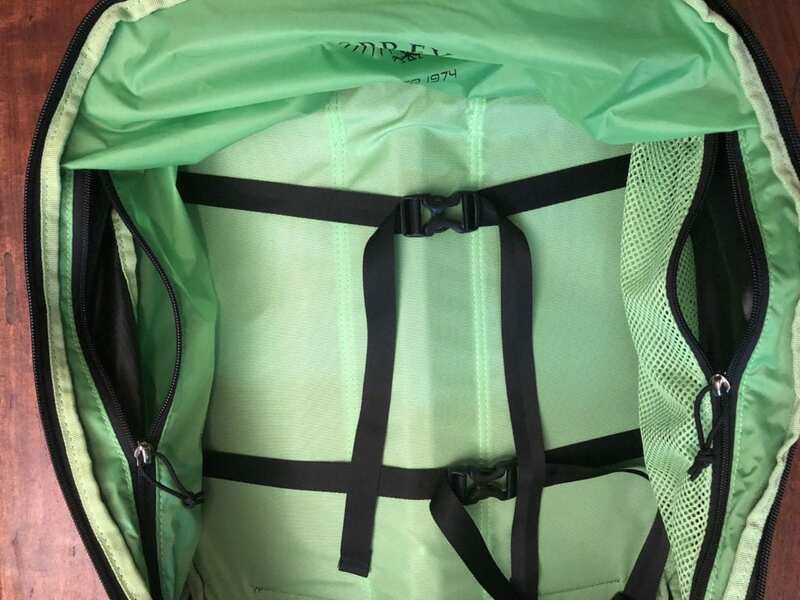 To help you get the most out of our Osprey Ozone Convertible review, we’ll take a closer look at the individual features that the Osprey Ozone Convertible has to offer. 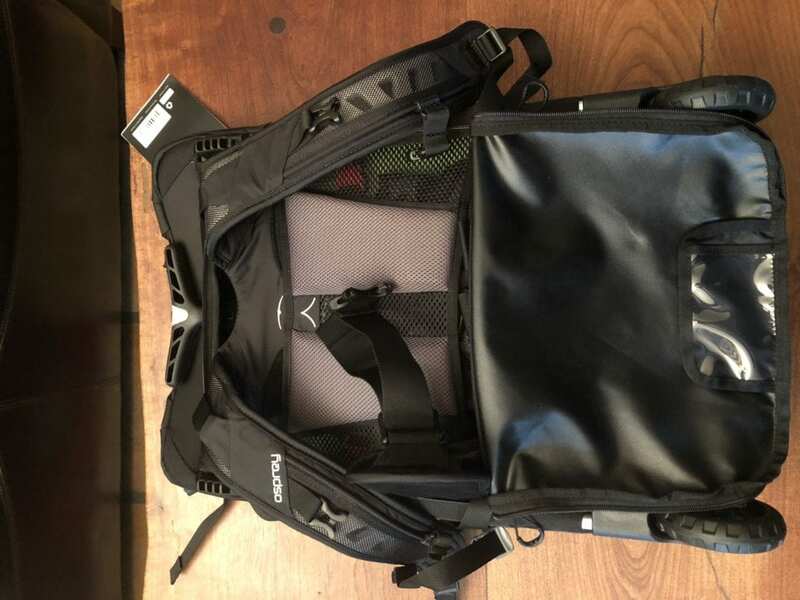 We will cover the main bag, the retractable handle, the backpack straps and the daypack in detail below. Exterior: The outer material is very high quality. Its lightweight but super durable and has a water-resistant coating. It also has a simple, yet sleek aesthetic. Handles: The Osprey Ozone has three total handles on the main bag. There is a handle on the top, one on the bottom and one on the side. A fourth handle on the remaining side would be nice but not totally necessary. 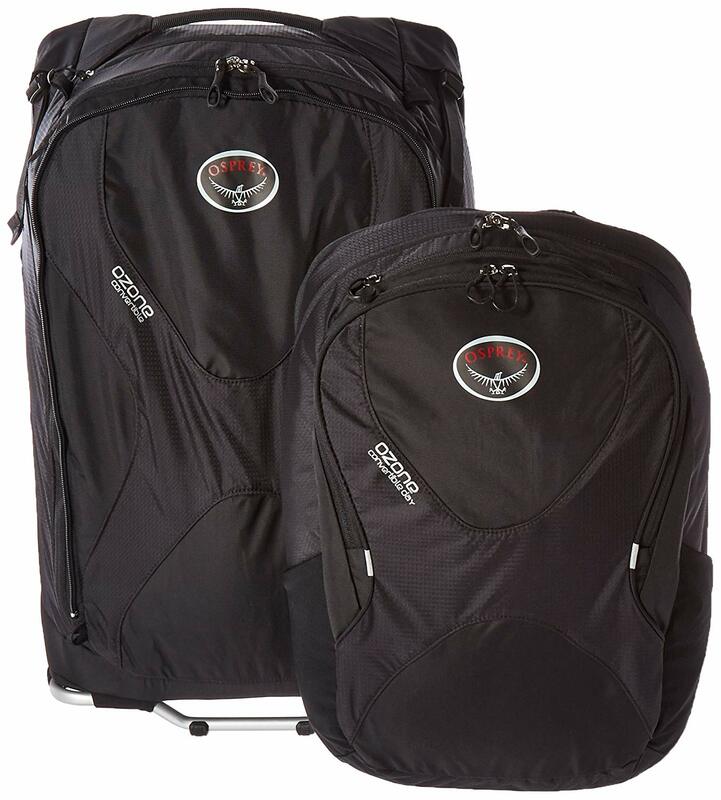 The Osprey Ozone Convertible reviews are still positive even without that extra handle. Zippers: This bag has the smoothest and highest quality zippers out of the wheeled backpacks we review. The zippers appear to be able to last the test of time without breaking or jamming up. Interior: The interior has two luggage straps to help secure interior items. 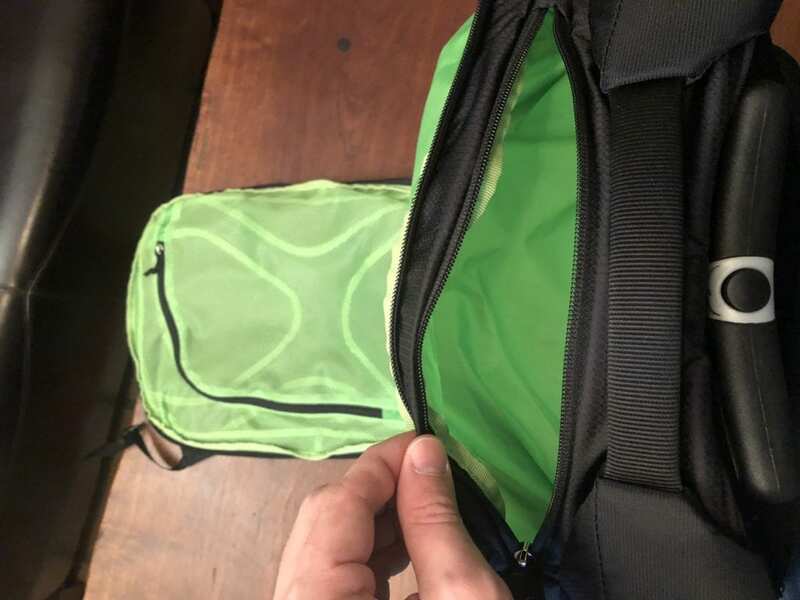 There is also a large mesh pocket sewn into the inside of the main opening, which is great for storing things like laundry or any loose items. The sides of the interior have two more zippered pockets for additional storage. 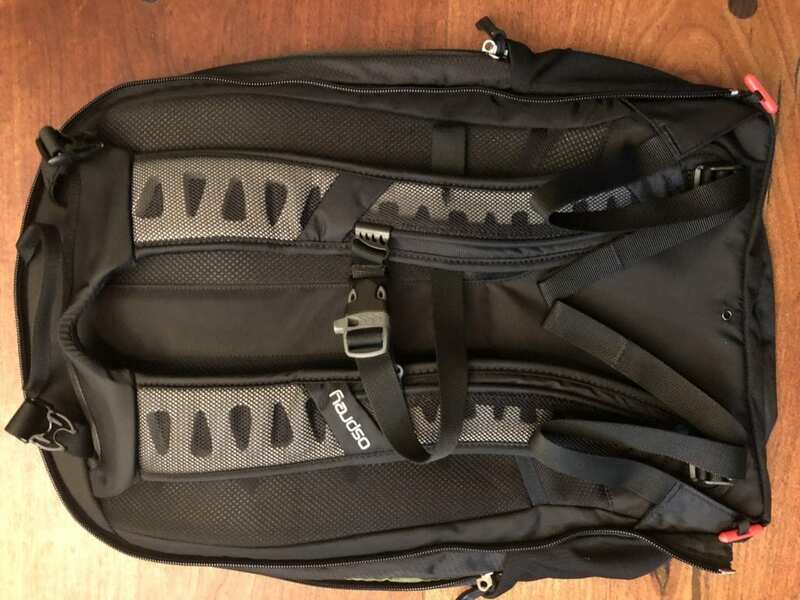 This is the only carry-on backpack with wheels we reviewed that has additional interior side pockets on the interior of the main bag, which is a nice touch. The lining is also strong and appears to be water resistant. Space: The interior space of the main bag is limited. 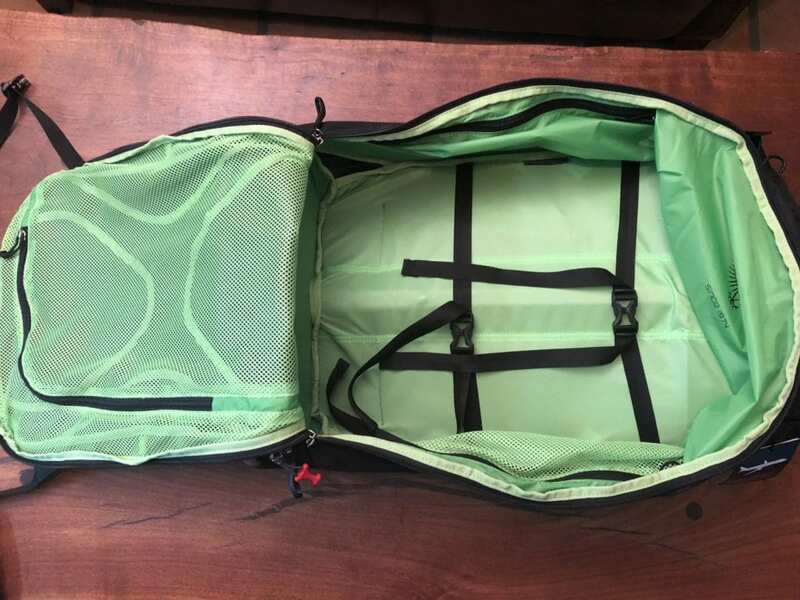 The rear of the bag has a concave shape to accommodate for the retractable handle, backpack straps and hip belt. There is enough space for smaller trips. While the lightweight and compact design are great if you don’t need much space, it would be nice if the main bag were a few inches bigger. 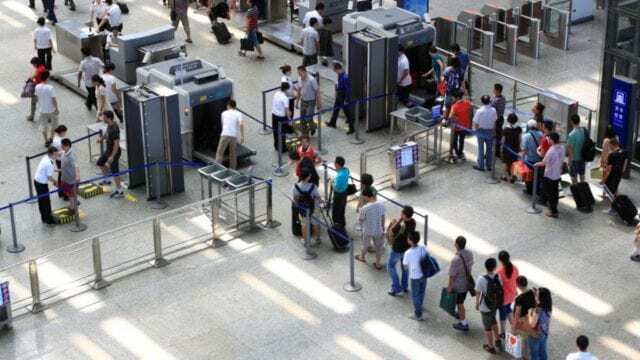 It would still be able to fit within most airline carry-on size restrictions but without such limited space. As it is now, most people will only be able to carry items for a few days. Easy-grab top pocket: There is a waterproof zippered pouch on top of the main bag. 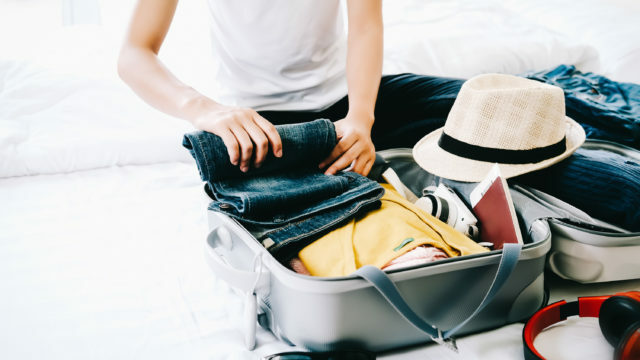 This is very handy for smaller loose items such as a passport, boarding pass or other things you’d like to have easily accessible and protected. High quality: The handle is sturdy and retracts in and out smoothly and easily. It has a high quality, custom appearance and can handle a lot of stress without breaking or jamming. Single pole design: The single pole design saves on weight. However, having only one pole makes it more difficult to secure the daypack if you are stacking the luggage. 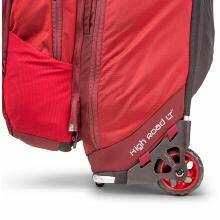 Large wheels: The large wheels give the luggage additional clearance, which is great for cobble roads or uneven terrain. The wheels are also treaded to make them more durable and less likely to wear down over time. Lightweight: The wheelbase uses a mixture of lightweight plastic/fiberglass and an aluminum metal bar. This allows the base to be strong but lightweight. 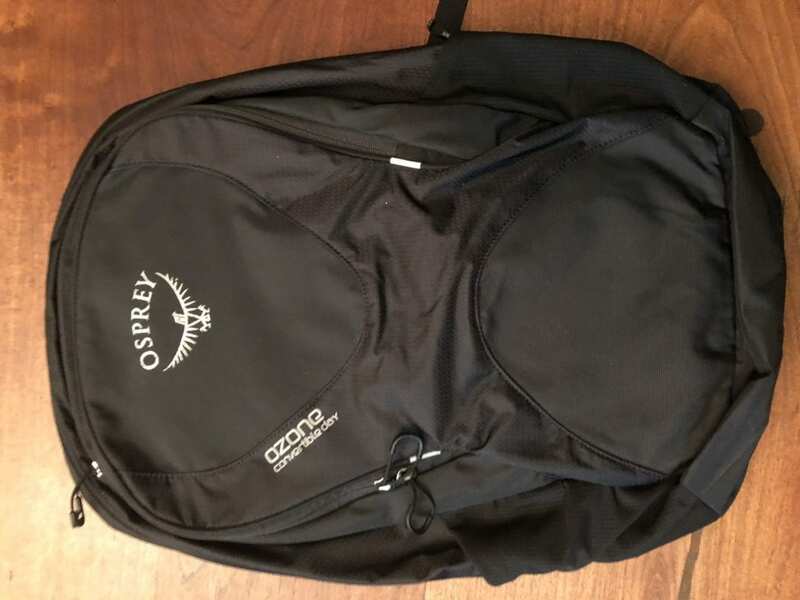 Again, the design is detailed and custom to this bag, which Osprey Ozone Convertible reviews love. Clips on the bottom of the main bag: Unlike the other bags in our review, which either have a velcro attachment or no attachment at all, the Osprey Ozone has two clips to secure the hip belt to the bag. This makes the attachment more secure and durable. The only drawback is that the clips are more difficult to attach than a velcro option. 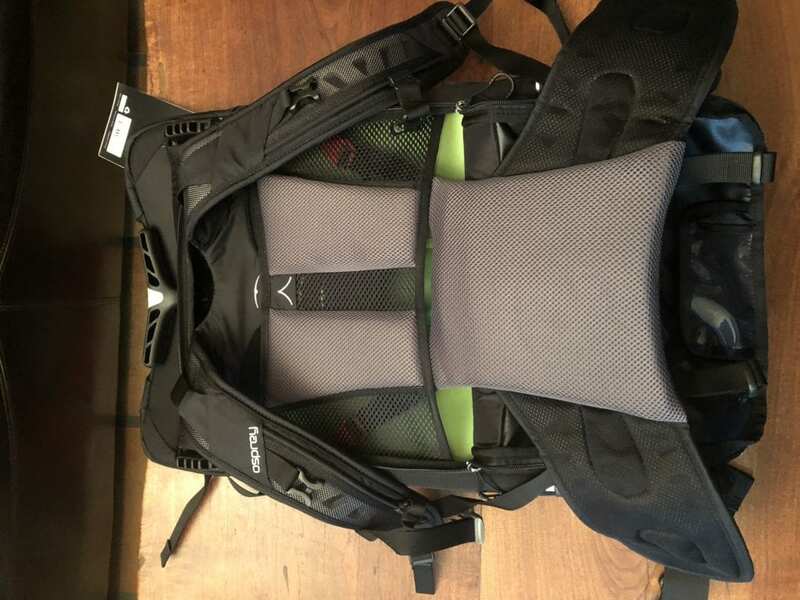 Easy setup: There is a piece of material on the back that can be unzipped to reveal two backpack straps. The straps are already connected toward the bottom of the bag. The padded hip belt portion is concealed under these straps and can slip out when needed. Hip belt: The hip belt has a built-in lower back pad. The hip belt has a fully padded waistband. This is great for comfort and stability, but it also provides protection between the dirty wheels and the back of your clothes. Space: While the design is easy to set up, the “slide under” design of the hip belt and all of the padding take up a lot of space on the inside of the main bag. This creates a challenge if you need enough luggage for more than a few days. Attachment clips: There are two clips that can be used to attach the daypack to the backpack straps of the main bag. This way, you have the option to wear the main bag as a backpack and clip the daypack across your chest. Chest strap: There is a built-in chest strap for added comfort. The strap also has a safety whistle in case you need to call for help. High quality: The design, materials, zippers and layout of the back are all top notch. Space: Again, the space is limited here. While there is enough room for a 15″ laptop, you won’t fit much other than the laptop in the bag. While it’s great if you only need a few items, this isn’t the best option if you need lots of room for luggage and gear. Straps: The straps are very comfortable with foam padding. Holes are cut out of the interior of the foam padding to save on weight. The straps are also reinforced and made to last. Interior: While the amount of carrying capacity is limited, the interior layout is great. It has plenty of pockets and pouches, high-quality interior lining and a padded laptop sleeve. The quality is unmatched, but a little more carrying space would be nice. After our Osprey Ozone Convertible review, we think this carry-on option is unmatched in quality and design. The only drawbacks are the high price and the limited amount of space. While this bag might not have the room for everything you’d need for a trip of a week or more, the versatility and design are great. The bag allows you to switch freely between a rolling piece of luggage and a backpack depending on your travel needs. This luggage is perfect for someone who wants the highest quality available and doesn’t need a lot of interior packing space. If you’re looking for a good carry-on backpack with wheels, you can trust the Osprey Ozone Convertible. Have you tried this bag? 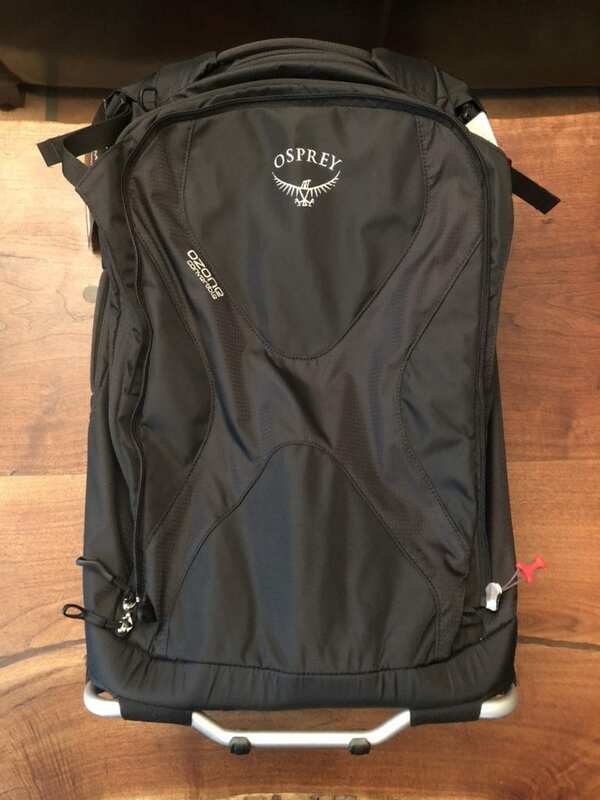 If so, leave your own Osprey Ozone Convertible review below.